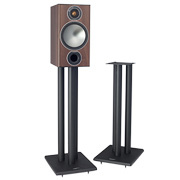 The Monitor Audio Silver 300 floorstander retains the familiar award-winning configuration of its predecessor, with several crucial improvements to the drivers. 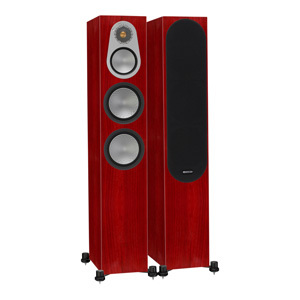 The full three-way design delivers class-leading mid-range, while a pair of long-throw 6" bass drivers work together to produce incredible power from the tall, but slim cabinet design, making it the perfect choice for serious audiophile and AV installations. 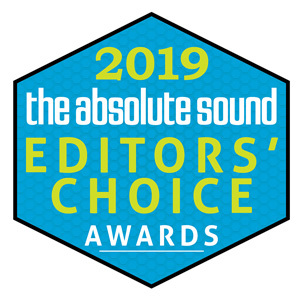 The Monitor Audio Silver 300 won an Editors' Choice Award 2019 from The Absolute Sound magazine, which summed up its review by saying, "This is one very well designed loudspeaker and a great value." The Absolute Sound magazine's Editor in Chief Robert A. Harley calls the Silver 300 "an extremely accomplished product that offers a level of sound quality unexpected at this price. 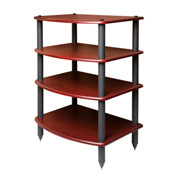 I was especially impressed by the fact that the overall design is so well balanced and complete." 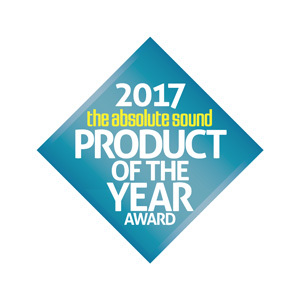 The January 2018 issue of The Absolute Sound features the 'High End Audio Product of the Year Awards', the magazine's most exclusive and prestigious award presented to products that stand above all others as the most impressive from 2017. 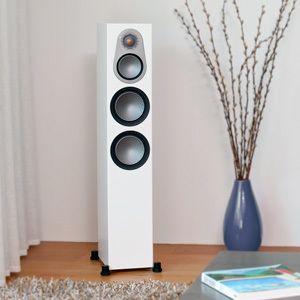 Monitor Audio's Silver 300 received the award, with Robert Harley calling it "our first choice for Floorstanding Speaker of the Year." 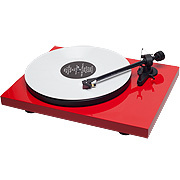 Robert describes the Silver 300 as having "a compelling array of musical virtues," including "terrific speed on transients, effortless reproduction of dynamics, and overall sense of musical coherence." The bass was also praised, with Robert saying it is "detailed and resolved, providing a clear sense of pitch." 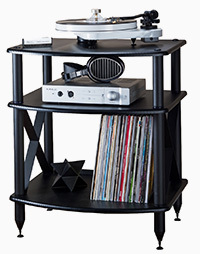 Overall, the Silver 300 is said to be "a very well designed loudspeaker, built with an economy of scale that allows this level of performance to be offered at a reasonable price." The three-way configuration allows each driver to be optimized to do a better job over a narrower frequency band; the only real way to deliver elevated performance in every respect. Superlatively natural mid-range comes courtesy of a dedicated 4-inch driver, specially designed with 'under hung' voice coil and motor system. This technique ensures the voice coil always remains in the magnetic gap under all conditions for demonstrably lower distortion than usually found at this level – an advance which can be immediately heard. 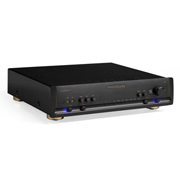 For getting the maximum performance from these exceptional speakers through bi-wiring or bi-amping, the Silver 300 provides two pairs of bespoke high-quality gold-plated binding posts connected by wire jumpers. The terminals are color coded for easy hook-up. "The Silver 300 plays far bigger than its cabinet size, driver complement, and price would suggest, with robust dynamic authority. It's also very easy to drive; the Esoterica F-03A's 30Wp was more than enough power," reports Robert A. Harley in The Absolute Sound. Revered by audiophiles around the globe, Monitor Audio's award-winning Silver Series enters its sixth generation with a host of new features to make it the best-performing ever. 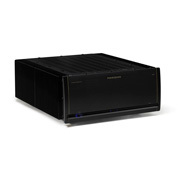 Taking hi-fi and home theater performance to a new level. 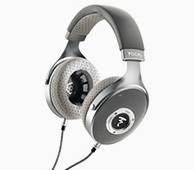 The new Silver 6G series utilizes technological advances derived from Monitor Audio's top-of-the-line Platinum Series II. 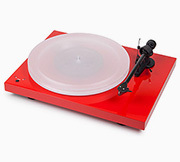 It features a completely redesigned 1" gold dome tweeter for precise treble. And it looks as it good as it sounds, offering stunning real wood veneer, piano lacquer, and contemporary satin white finishes to suit every setting. Unlike conventional driver cones, the new C-CAM (Ceramic-Coated Aluminum/Magnesium) RST (Rigid Surface Technology) bass and midrange drivers take the form of a continuous uninterrupted dish. Strengthened by a uniquely dimpled surface, their greater area radiates more sound, and driven by a larger voice coil and motor, delivers greater efficiency and a cleaner, more accurate response. Single bolt-through driver fixings have the dual effect of improving cabinet rigidity while further reducing vibration at the driver/cabinet interface. By this innovative method, drivers are mounted on a single tensioned through-bolt, which is secured to the back of the cabinet. The bolt not only acts as a rigid cabinet brace to reduce box coloration, it removes the need for conventional driver fixings as well, effectively decoupling the driver and baffle to eliminate another source of unwanted resonance. The result is a more fluid communication of mid-range frequencies, and with the absence of front driver fixings, a cleaner more refined overall appearance, especially in tandem with RX's 'invisible' magnetic grille location. Developed for the flagship Gold Signature range, the HiVe II reflex port is shaped to have the same effect on airflow as a gun-barrel on a bullet. Rifled groves inside the port help to accelerate the flow and reduce turbulence, so that air moves in and out of the port more efficiently for a faster more dynamic bass response. 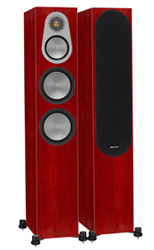 "This is one very well designed loudspeaker and a great value." "The Monitor Audio Silver 300 is an extremely accomplished product that offers a level of sound quality unexpected at this price. I was especially impressed by the fact that the overall design is so well balanced and complete. 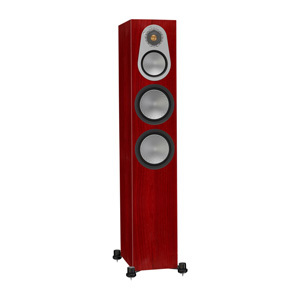 "The speaker doesn't excel in just one or two areas, but performs admirably across the board. 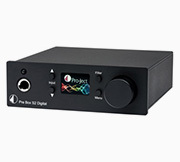 Some similarly-priced mini-monitors may have a lusher midband or silkier treble, but they won't begin to match the Silver 300 in bass articulation, low-frequency extension, and dynamic contrasts. 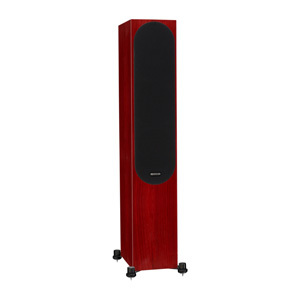 Moreover, the Silver 300 plays far bigger than its cabinet size, driver complement, and price would suggest, with robust dynamic authority. It's also very easy to drive; the Esoterica F-03A's 30Wp was more than enough power."